Inland Empire Pool Pro is a Professional Pool Cleaning company that serves the Inland Empire Metropolitan area including Riverside, Moreno Valley, Gavilan Hills, Orangecrest and neighboring areas. Our customers’ needs are everything to us, with satisfaction guaranteed. We have been in the pool service industry for 10 years. We know pools and their chemistry extremely well. We have many certifications in pool repair and chemical properties to go along with the rich knowledge of Inland Empire Pool Pro. As a pool owner, you want to be certain that the pool water that you and your family swim in is safe and clean. Apart from ensuring the safety and beauty of your pool, you also want to guarantee the proper functioning of your pool's equipment system. 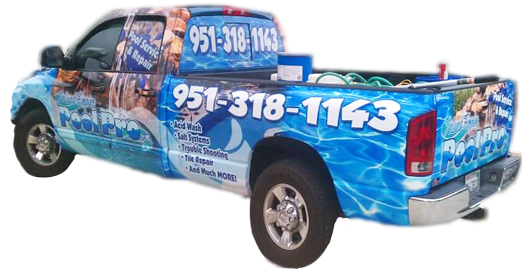 Inland Empire Pool Pros provides expert pool service, repair, and maintenance; all at an exceptional value to you. We built our reputation on quality service and working relationship with our repeat customers in Southern California specializing in the following areas: Riverside, Moreno Valley, Gavilan Hills, and Orangecrest and beyond the Inland Empire Metropolitan area. Inland Empire Pool Pro provides services ranging from heater system installation and maintenance, tile leak detection and repair, pool re-plastering, filter system installation, application of chlorine as acid disinfectant, and over-all pool service, repair and maintenance as well as a wide range of pool work such as new construction, remodels, replasters, equipment upgrades, tile cleaning, acid washes and so much more. We are your one stop pool contractor, for all your needs. Rely on our honest status in the pool industry acknowledged by thousands of customers through the years. Inland Empire Pool Pro pledges unsurpassed service with the promise to keep the lush life of your pools, avert molds and bacteria so your enjoyment of your pool is never compromised. Our commitment is to our client’s satisfaction and security in every project completed. Inland Empire Pool Pro works closely with our clients to ensure that their needs and personal preferences are met with our unmatched customer satisfaction rating in Riverside, Moreno Valley, Gavilan Hills, Orangecrest and beyond in the Metropolitan area of the Inland Empire.